After three days of cool weather - COOL weather! - there's quite a bit of rain in the forecast. 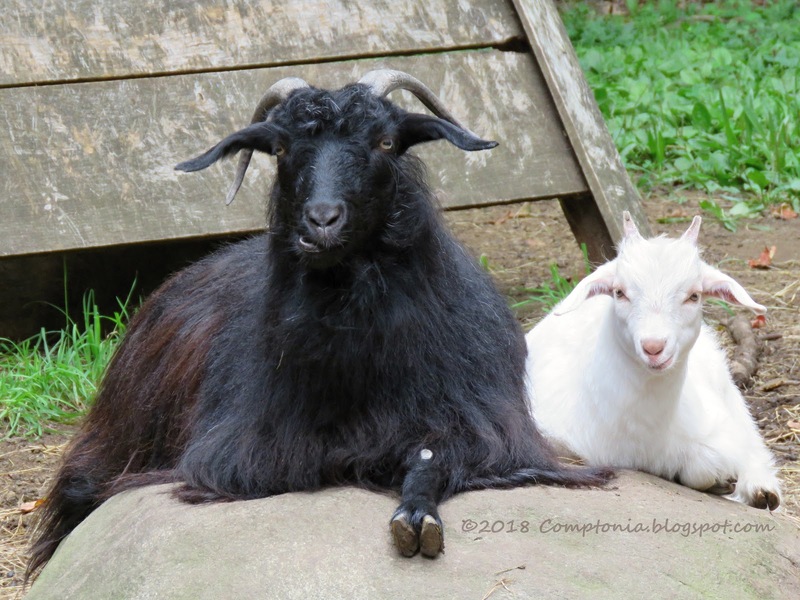 I did barn chores early this morning, so the goats would have access to hay inside shelters, instead of the paddock picnics they've been enjoying recently. 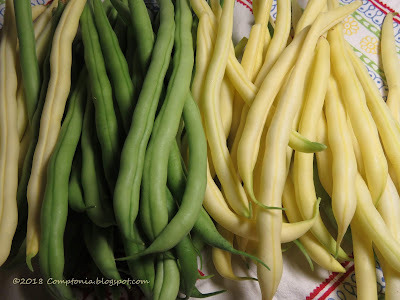 The sky was overcast so I got right down to the garden to harvest vegetables - beans and kale for myself, and a little chard and okra to share with the goats as I walked back up through the herd. I was back in the house at about the time I usually begin chores, and still dry, which made me feel all smug and efficient. Another batch of green and yellow beans went into the freezer, and I steamed a bowl of snapped beans to add to the Pyrex cornucopia (a cornucopia is a food container that's never empty, right?) of bean salad in the fridge. My pole beans began to struggle during recent days of heat, before I noticed and began to water them - something that had not been necessary even once earlier in this Summer of Continuous Deluge. They are still flowering and producing. I should write an entire post about these pole beans. They are wonderful. 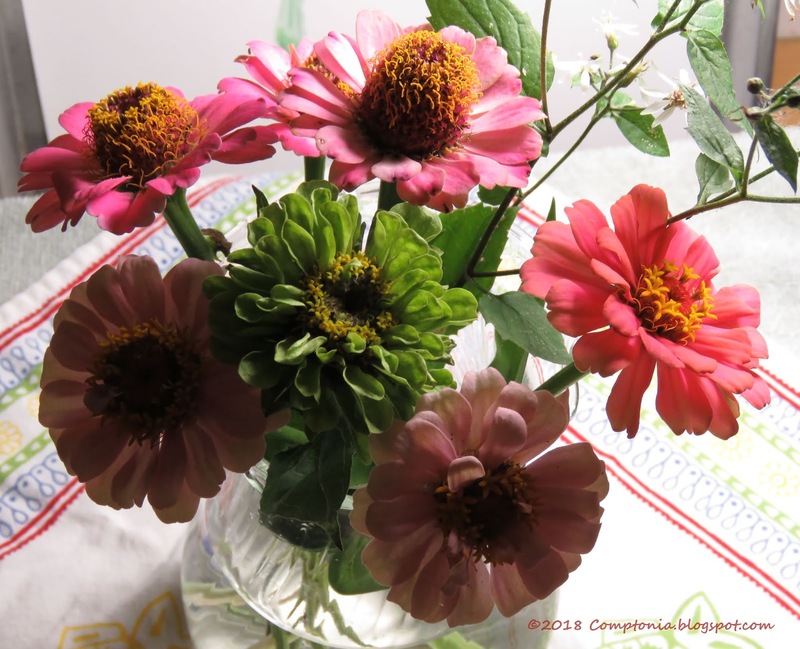 While in the garden, I selected a few zinnias to provide color and cheer in the house should there be the predicted series of murky days ahead. 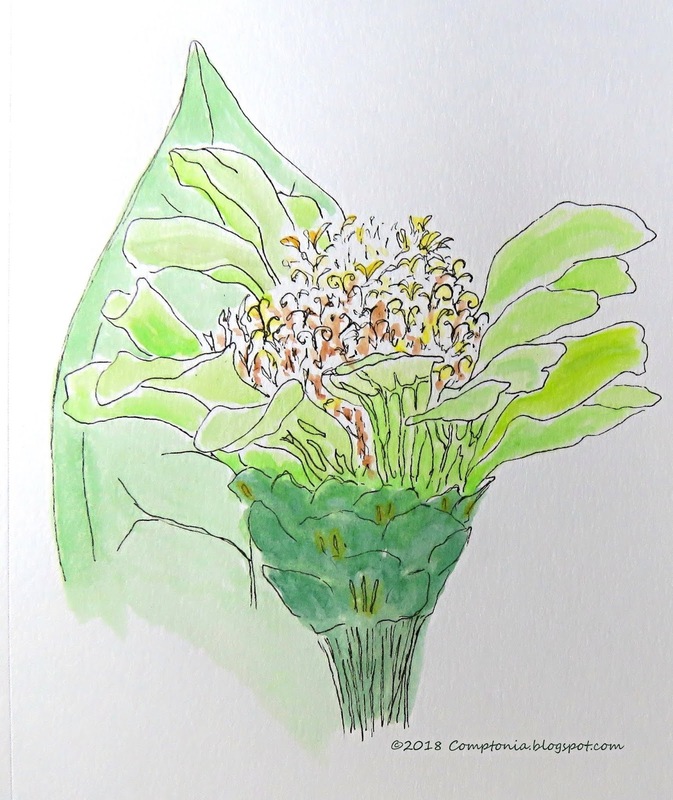 They are also likely to become models for more of my Daily Markmaking efforts. Zinnias have turned out to be fantastic subjects for sketching. 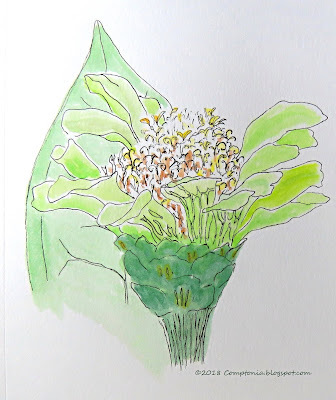 There is a great deal of variation from one flower to another, and they are a lot of fun as well as a challenge to draw and paint. Or maybe the challenge is part of why they are fun? And here, the very next day, is the same zinnia from a slightly different viewpoint. 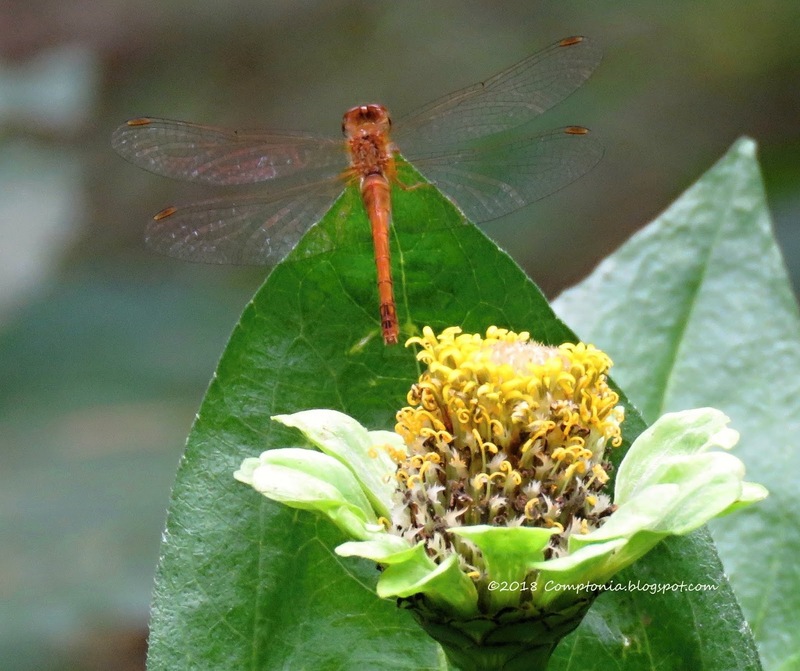 this one is a male flame skimmer - Libellula saturata. My plan for today - after the chores and the garden and the photographing and so on - was to do a lot of housecleaning. Planning, it turns out, is different from doing. The rain started while I was downloading photographs, and both Moxie and Della anchored me solidly in place. So I decided to write this blog post before disturbing the cats in my rigorous pursuit of a tidy kitchen. I may be doing that housecleaning stuff at about suppertime. 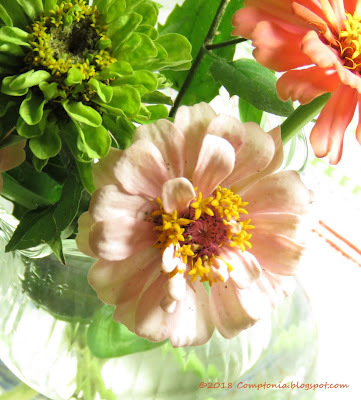 Meanwhile, I hope these zinnias help get your week off to a cheerful start. If you sketch them, let me know!